Carboxytherapy has been touted as the biggest beauty breakthrough since injectables and dermal fillers and it’s now available in Lakeland only at Bella Viságe Medical Rejuvenation. It is a safe and minimally invasive procedure that is a clinically proven method to rejuvenate, restore, and recondition the skin. It also treats wrinkles, laxity, cellulite and stretch marks. The process involves injecting tiny amounts of Carbon Dioxide Gas (CO2) beneath the skin to break down fatty deposits and stimulate collagen production. The treatment has no downtime and a single session can take between fifteen minutes to an hour. In short, Carboxytherapy is a simple and safe procedure for beautiful, younger looking skin. Carbon Dioxide Therapy or Carboxytherapy has been touted as the biggest beauty breakthrough since injectables and dermal fillers and is now available in Lakeland at Bella Viságe Medical Rejuvenation. Worldwide, Carboxytherapy is rapidly becoming known as the leading skin rejuvenation treatment. It is a safe, minimally invasive procedure. It is a clinically proven method to rejuvenate, restore, and recondition the skin. It also treats wrinkles, laxity, cellulite and stretch marks. The process involves injecting tiny amounts of Carbon Dioxide (CO2) beneath the skin to break down fatty deposits and stimulate collagen production. The treatment has no downtime and a single session can take between fifteen minutes to an hour. In short, Carboxytherapy is a simple and safe procedure for beautiful, younger-looking skin. 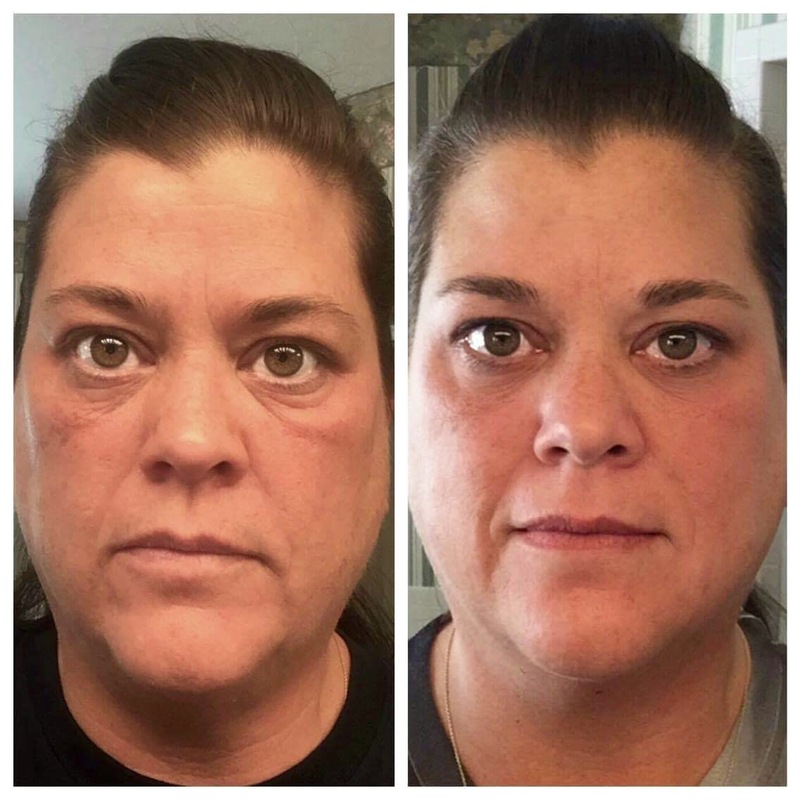 As we age, especially if there has been yo-yo dieting, subcutaneous capillaries become dormant with decreasing cells of oxygen; this combined with environmental stresses and other variables, inhibits the ability of cells to regenerate and function properly and the skin slowly loses its elasticity and collagen. By the age 30, oxygen levels in your skin drop by 25% and 50% by age 40. The body naturally gets its oxygen through breathing, but factors like pollution reduce the levels. The body will first utilize oxygen in the major organs and lastly, go to the skin. When the skin doesn’t get enough oxygen it becomes more prone to aging, acne, redness, irritation and age spots. Carboxytherapy infuses CO2 just beneath the skin’s surface; the body interprets this as an oxygen deficit and responds by increasing blood flow and growth factors such as VEGF (vascular endothelial growth factor) which encourages production of new blood vessels. This provides a surge of oxygen and nutrients to the treated area and improves circulation, resulting in cell restoration. Increased oxygen concentration also improves the water retention or edema in the area. For a dermal effect which reduces fine lines, wrinkles and stretch marks, this increased blood flow stimulates collagen, which will soften fine wrinkles and decreases dark circles under the eye. A few months later dermal remodeling occurs with collagen contraction, leading to a tightening effect. Brow ptosis (droopy eyelids) and saggy jowls/necks are improved. For fat reduction such as double chin, the gas at high volume is introduced deep into the fat which then breaks up the fat cell and stimulates new vessels and rejuvenation. Traditionally, the eye area has been difficult to treat, but with the advent of Carboxytherapy, this area can now be improved. Hooded eyes are modestly lifted by tightening the upper lids with strategically placed Carboxy injections. Typically, on the face 6 to 8 treatments of Carboxytherapy sessions are required. Clients have a 30-minute session every 2 to 4 weeks and each treatment is accumulative. Maintaining beauty isn’t a sprint, it’s a marathon. Rather than waiting until their problems are bothersome again, patients must appreciate that maintenance goes a long way and a touch-up session every 6 to 8 months should maintain results. At Bella Viságe, a Board Certified Nurse Practitioner performs the procedure and the initial consultation to discuss the process of Carboxytherapy. Because CO2 is non-embolic it is very safe if done with the correct protocols and a pre-treatment consultation. Carbon dioxide is a natural byproduct of the body and is not toxic, even in elevated doses. After the treatment, the gas is totally reabsorbed within 5 minutes and the area treated returns to normal. Widely distributed in Europe and South America, Carboxytherapy has been used safely and effectively for over 80 years, with no complications against conditions as persistent and difficult to treat such as cellulite, psoriasis, diabetic ulcers, venous insufficiency and stretch marks. Carboxytherapy has also been used for many years and in thousands of patients in laparoscopic operations where large volumes of CO2 are used to inflate the abdomen. Carboxytherapy safely treats all skin types without significant pain or downtime. It can erase years off one’s face and is one of the most effective methods of achieving a significant aesthetic improvement within 2 to 6 months when the effects of collagen stimulation and remodeling become evident.